Barry Kirwan Blog: What would subspace look like? In the cult series Babylon Five, hyperspace is visualized as a place of shifting oranges and blacks (nice visuals, actually), and in the Stargate TV series a similar approach is used (vortex-like visuals). In books it is often less clear. Orson Scott Card’s Ender series made use of an Ansible, whereby communication could take place without any time dilation effects. Stephen Baxter in his book Timelike Infinity describes what it looks like to enter a wormhole. 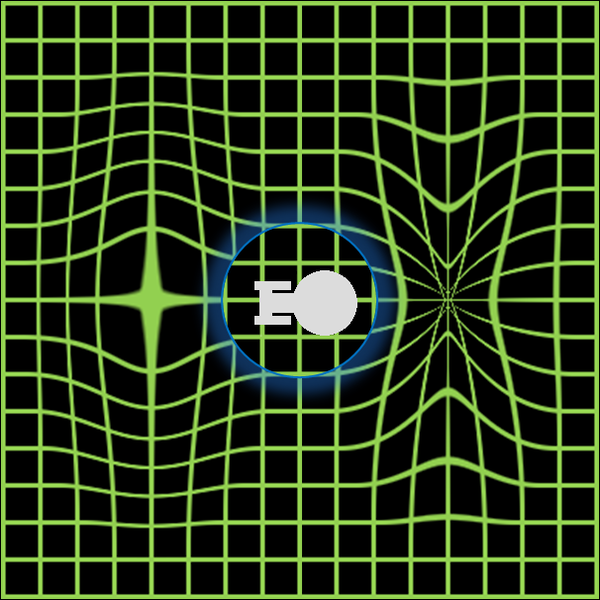 There have also been plenty of attempts at visualising what it would be like to approach a black hole, with time dilation and distortion effects on the way in to the event horizon or the ‘accretion disk’. Star Trek Deep Space Nine had aliens living inside a wormhole, which I thought was pretty interesting, although I personally found the visualization of the wormhole interior completely unconvincing. ‘pin pricks of ice cold light sliding past with a glacial grace’. Vince strode back to the main console and slammed the ankh key into the recess. As he did so, everything froze and became mercurial. Shades of silver tinged every facet of the equipment, every line and crack of every face, the eyes, the pores, all their clothes and every surface. He had the feeling that they were outside of time while the universe moved beneath them, or rather moved outside the ship. He didn’t breathe – it wasn’t that he didn’t want to, but his brain told him it would be a very bad idea. Jennifer sucked air into her aching lungs. The fear of breathing in liquid vanished, or, rather, was overcome by the desperate need to inhale anything. Despite a faint sensation of vapour entering her lungs, which she decided was probably psychosomatic, the dread of drowning in liquid mercury proved erroneous. Even so, she bent forward to regain her breath. She heard coughing down below. Within two minutes Dimitri swept into the control room along with several other technicians, half of them still dressed in their sleepwear. In my second book, Eden’s Trial, which is more ‘space opera’, I used the concept of Transpace for FTL travel, and true to my advisors, there is no perception of time by humans or most aliens in Transpace. However, I bend this rule for the Hohash, an alien artefact left behind by a super-race millions of years ago. It can move and think during Transpatial journeys, even while everything around it is frozen. Incidentally, humans normally puke after such journeys. Like some good wines, we don’t always travel well. In my upcoming third book Eden’s Revenge the possibility of inhabiting subspace is hinted at more strongly, with an alien race called the Shrell who can shift into subspace. These are creatures who tend subspace, because too many jaunts through Transpace can bruise or tear the fabric of space, resulting in rifts where FTL becomes impossible or hazardous. China Mieville’s book Embassytown is the most fascinating I have read on FTL, with its completely novel concept of the ‘immer’, which few can tolerate if conscious. 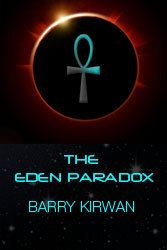 The Eden Paradox is available (paperback and ebook) on Amazon, Barnes & Noble, Ampichellis and Waterstones. 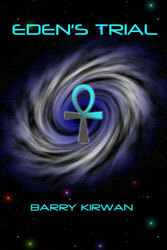 Eden’s Trial is available (ebook) on Amazon with a paperback version due out later this year. Eden’s Revenge will be coming out Xmas 2012.